Input videos coming from several cameras mounted on a van are processed offline for extracting the traffic signs and their 3D mapped positions. 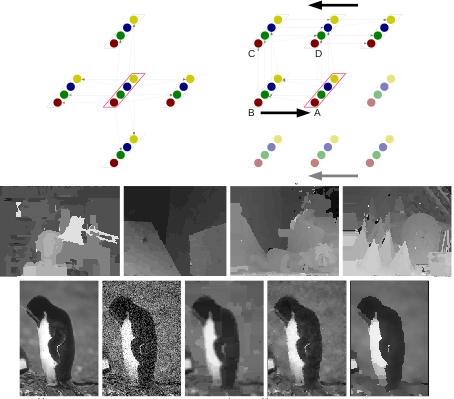 We focus on the 2D and 3D analysis by proposing a fast optimal segmentation followed by AdaBoost cascades for detection, hierarchies of SVM for validation/recognition, 3D hypotheses reconstruction and MDL formulation for best selection of the subset of hypotheses as solution to our problem. An input video must be processed in real-time for driver assistance purposes. We focus on achieving real-time performance on frame-level detection and recognition, as well in 3D pose tracking of the detected traffic signs. In this way we have not only the detected traffic signs facing the car but also their relative orientation, their 3D poses. 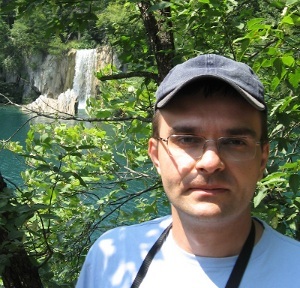 Inspired by 2D methods, recently researchers have started to work with local features. In keeping with this strand, we propose a new robust 3D shape classification method. It contains two main contributions. First, we extend a robust 2D feature descriptor, SURF, to be used in the context of 3D shapes. Second, we show how 3D shape class recognition can be improved by probabilistic Hough transform based methods, already popular in 2D. 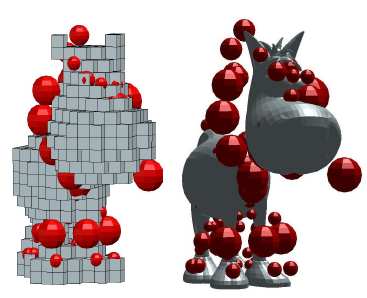 Through our experiments on partial shape retrieval, we show the power of the proposed 3D features. Their combination with the Hough transform yields superior results for class recognition on standard datasets. The potential for the applicability of such a method in classifying 3D obtained from Structure-from-Motion methods is promising, as we show in some initial experiments. 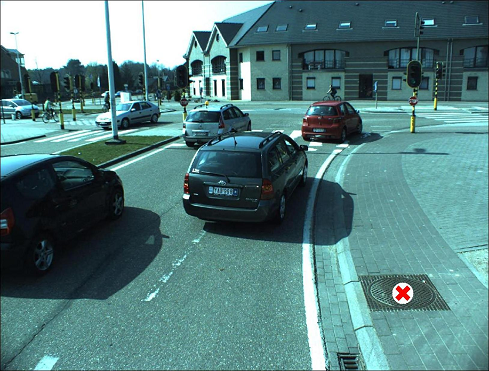 Given as input videos recorded from a van, detect accurately all the manholes in short distance from the camera. Fitting a ground plane under the cars' wheels is beneficial for working on ground projected images, where the manholes have a normalized view. The pipeline is useful for accurate 3D mapping of manholes when the camera calibrations/poses are known, obtained offline through a bundle adjustment procedure. Another usage is for introducing accurate landmarks for bundle adjustment, assuming that a map of the manholes is available. 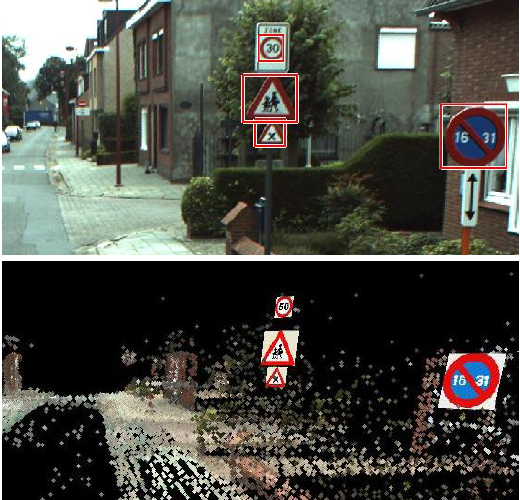 BelgiumTS is a large dataset with 10000+ traffic sign annotations, thousands of physically distinct traffic signs. 4 video sequences recorded with 8 high resolution cameras mounted on a van, summing more than 3 hours, with traffic sign annotations, camera calibrations and poses. About 16000 background images. 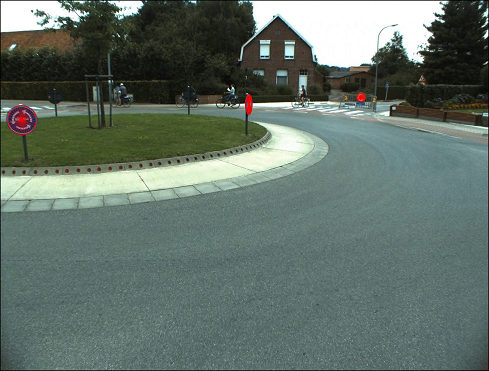 The material is captured in Belgium, in urban environments from Flanders region, by GeoAutomation. BelgiumTSC is built for traffic sign classification purposes. Is is a subset of BelgiumTS dataset and contains cropped images around annotations for 62 different classes of traffic signs. BelgiumTSC is split in a training part with 4591 images and a testing part with 2534 images. The split follows the split from BelgiumTS. 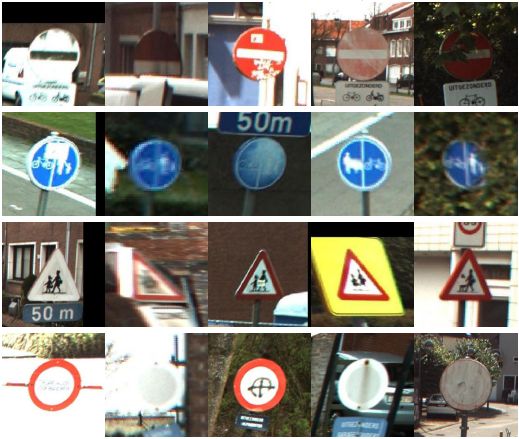 On average there are 3 images/annotations for each physically distinct traffic sign. The material is recorded in Belgium, in urban environments from Flanders region, by GeoAutomation. NTIRE 2019: New Trends in Image Restoration and Enhancement workshop and associated challenges in conjunction with CVPR 2019, Long Beach, US. CLIC 2019: Workshop and Challenge on Learned Image Compression, in conjunction with CVPR 2019, Long Beach, US. VAS2019: Vision for All Seasons: Bad Weather and Nighttime workshop, in conjunction with CVPR 2019, Long Beach, US. PIRM 2018: Perceptual Image Restoration and Manipulation workshop and challenges on perceptual super-resolution, mobile photo enhancement and spectral image super-resolution in conjunction with ECCV 2018, Munich, Germany. NTIRE 2018: New Trends in Image Restoration and Enhancement workshop and challenges on single image super resolution, image dehazing and spectral reconstruction in conjunction with CVPR 2018, Salt Lake City, US. 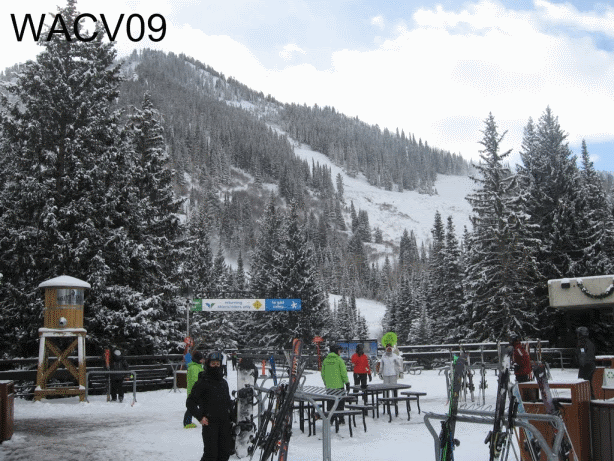 CLIC 2018: Workshop and Challenge on Learned Image Compression, in conjunction with CVPR2018, Salt Lake City, US. NTIRE 2017: New Trends in Image Restoration and Enhancement, workshop in conjunction with CVPR 2017, Hawaii, US. NTIRE 2017: challenge on example-based single image super resolution. NTIRE 2016: New Trends in Image Restoration and Enhancement, workshop in conjunction with ACCV 2016, Taiwan.